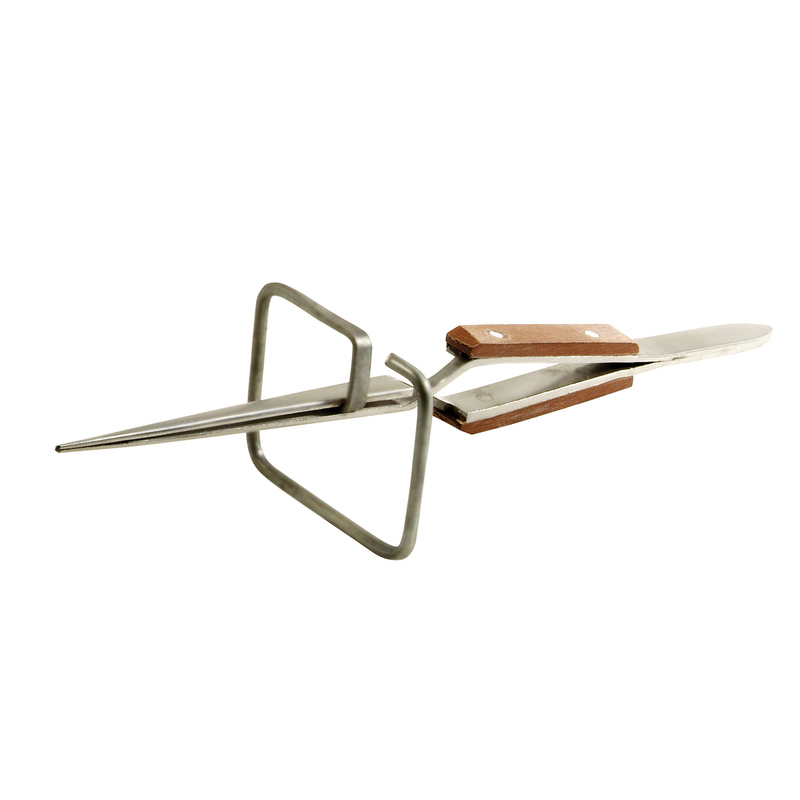 Self-closing tweezer includes an integral 4-sided stand which holds workpieces away from the benchtop (or soldering pad) while you solder with a torch. Fiber handles protect your fingers from residual heat. Serrated steel tips open to 1 inch. Overall length approx. 6-1/2 inches. Use several to hold parts in alignment while soldering.